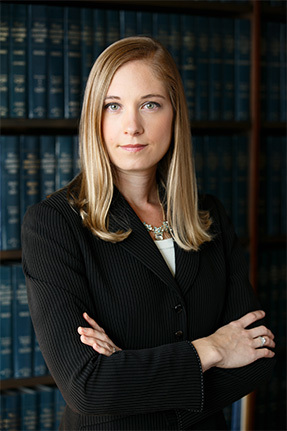 Clients turn to seasoned California criminal defense attorney Jessica Agnich for experienced advocacy. When your freedom, your reputation, and your civil rights are at stake, choose a specialist in criminal law certified by the State Bar of California Board of Legal Specialization. For over a decade, criminal defense attorney Jessica Agnich has fought for adults and juveniles charged in California with criminal offenses ranging from misdemeanors to serious felonies. She knows the law, and she knows the California justice system. See Jessica's cases in the news, showing just a few of the many types of cases she handles and clients she fights for. Jessica is one of only five lawyers in San Mateo County who are certified as specialists in criminal law by the State Bar of California Board of Legal Specialization. 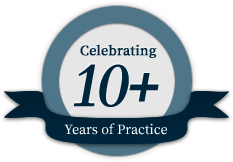 Certified specialists must demonstrate experience and knowledge in criminal defense that goes above and beyond that of the normal legal practitioner. Less than 500 of the over 250,000 attorneys in California are legal specialists in criminal law. It doesn't matter where you are from or what your background is. No one should be unlawfully arrested. No one should be convicted without the prosecutor presenting evidence beyond a reasonable doubt of their guilt. No one should be pressured into a plea deal unless it is in their best interests. If you have been charged with a crime, Jessica will fight for the best results possible in your case. See some of Jessica's results here. Jessica knows that being charged with or investigated for a crime is one of the hardest things you will ever go through. She will make sure you are informed at every stage of your case, and she will do everything in her power to help you get your life back on track. Hear what actual former clients say about working with Jessica. If you or someone close to you has been accused of — or is being investigated for — a crime, contact the Law Office of Jessica Agnich for a legal consultation. You don't pay anything unless agreed upon in writing after the consultation. Based in Redwood City, California, the Law Office of Jessica Agnich serves San Mateo County — including criminal cases before the San Mateo Superior Court — and handles select matters elsewhere in the Bay Area and northern California. To speak with Jessica about your case and how she can put her experience to work for you, call 650.260.4105 or email jla@agnichlaw.com.